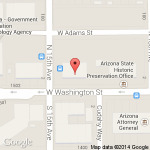 What does the Arizona Acupuncture Board of Examiners do? The Board’s mission is to protect the health, safety and welfare, and safety of the citizens of Arizona by regulating and maintaining standards of practice for acupuncture. Laws governing the practice of acupuncture are applied properly. Complaints are investigated and reviewed by the Board. Appropriate disciplinary action is applied to acupuncturists that break the public trust through a violation of law. Qualifications of acupuncture applicants are met prior to licensing. Qualifications of auricular acupuncture applicants are met prior to certifying. Statutory requirements are met for renewal of licenses. Applications for continuing education programs meet statutory requirements. Applications for program and clinical training meet statutory requirements. Regulations and laws are updated. The Governor appoints, to a three-year term, the nine members that make up the Acupuncture Board of Examiners. The Board is comprised of four licensed acupuncturists, two professional members who are licensed as a MD, DO, NMD, HMD or DC and three public members. What qualifications must be met for licensure? Graduate or complete an accredited or Board approved program of acupuncture. Complete at least 1850 hours of training that includes 800 hours of clinic. Successfully complete a clean needle technique course. Be certified by NCCAOM or pass the NCCAOM exams required to be certified by NCCAOM, or licensed by another state with similar standards to Arizona. Has not had a license or certificate revoked. A completed and signed statement of citizenship form. That depends on when the application and all required documentation are received. To get on the Board agenda, the application has to be complete one week before the Board meeting date. The Board generally meets on the fourth Wednesday of each month. Board meeting dates. Can documents be sent into the Board ahead of the application? Yes. You can have your official school transcripts, verifications of licensure in another state(s), clean needle technique course completion documentation, statement of citizenship documentation, and NCCAOM exam results sent ahead of your application. The Board maintains a file of these items for up to 2 months. The application process will not start until the application and fees are received. What happens if an acupuncturist violates the public trust? One of the essential responsibilities of the Board is to discipline the few acupuncturists who violate the laws governing acupuncture. All complaints are investigated thoroughly. Once the investigation is complete the matter will be set on a Board meeting agenda for review. The Board will determine if there was a possible violation of law. If so, the Board will conduct a hearing on the matter. If no violation of law is determined the Board can dismiss the matter without further review. If no violation was determined but the Board had concerns they could issue a non-disciplinary letter of concern. More information on the complaint process. Can I find out of an acupuncturist was disciplined and what it was for?